cool whip | What's Cooking at the Genua's? Yes pudding shots! I know you’ve all heard of jello shots. I also think it’s time for me to serve them at my next party. But pudding shots are almost the same but with pudding! This recipe calls for sugar-free fat-free pudding but if you’re not watching calories just use the regular pudding. I actually have not made them yet but I plan to soon! They sound delicious! This recipe also only makes 8 servings so if you have a huge crowd adjust the amounts accordingly. And since I am allergic to the aspartame in the sugar-free jello puddings (and jello) I will have to find one with Splenda or just use the regular kind. Have fun and enjoy the weekend! 1. Combine milk and pudding in a bowl and whisk or mix until smooth. Add the rum, lime juice and pineapple. Stir well. 2. Fold in the Cool Whip. Once mixture is smooth throughout, divide it among 8 small cups. 3. Place in fridge until ready to serve, at least 30 minutes. Use a spoon to eat! 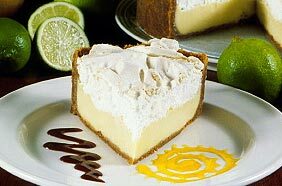 Key Lime Pie is one of my all time favorite pies. If I splurge and get dessert when we’re out for dinner and Key Lime Pie is on the menu I can’t resist. (Unless there’s crème brûlée or tiramisu also!) But with the crust and sugar and rest of the high calorie ingredients I am always hesitant to order it. This recipe makes 5 little “pies” so it’s portion controlled and using lighter ingredients helps me stay in control. The recipe calls for sugar-free Jell-O, this can be an issue for me. Jell-O uses aspartame in their sugar-free product and I am allergic to it. I get intense migraines from even a little bit. So unless I find a sugar-free gelatin with sucralose in it I will probably use the full sugar version on the Jell-O. 1. In a medium bowl, combine 1 cup boiling water with gelatin mix and sweetener. Stir for at least 2 minutes, until completely dissolved. 2. Mix in lemon juice, vanilla extract, and ½ cup cold water. Refrigerate for about 45 minutes, until slightly thickened but still mixable. 3. Stir in the Cool Whip. Whisk until completely blended. Divide mixture among 5 small bowls. Refrigerate until firm, at least 3 hours. 4. Once ready to serve, evenly distribute crushed graham crackers over the pies.